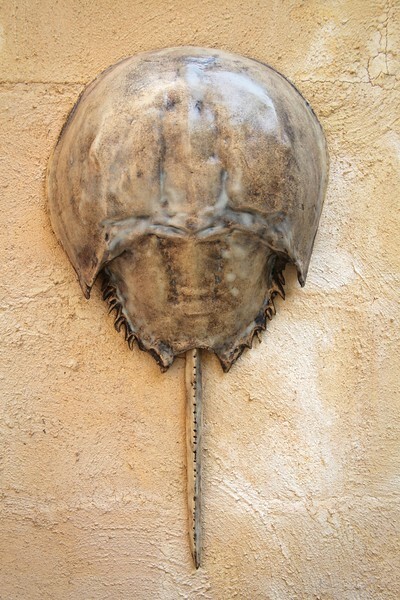 These horseshoe crabs are all ceramic, made from molds of real horseshoe crabs. If you don't see the one you're looking for, please email me. sn501. 22"l x 11"w x 4"d.